Grand Hotel Marstrand has a mouth-watering menu and high quality accommodation in stylish rooms surrounded by a spectacular archipelago. 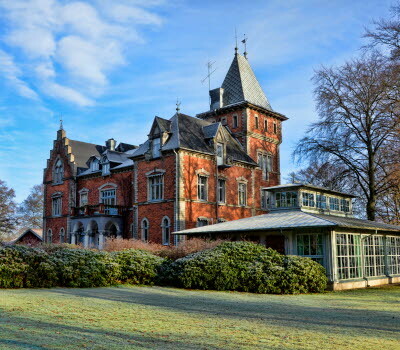 The building was constructed during the period when King Oscar II spent a lot of time on the island, and has become renowned for its contemporary charm and sound architecture. The menu at the Grand Tenan restaurant includes classic dishes such as beef tenderloin Africana and garlic scampi au gratin, cooked according to the original recipes. As evidence of its high quality, the Grand Tenan has been selected by one of the leading and most prestigious Swedish restaurant guides, the White Guide, as well as Sweden's Best Tables and A Taste of West Sweden. This certification is reserved for restaurants, producers and farm shops which offer sustainable and genuine west Swedish products and fine dining, all based on local seasonal produce. 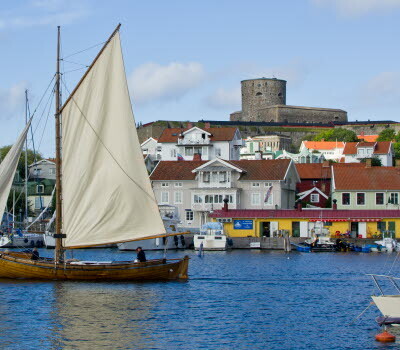 Try out a real sea adventure while staying at Grand Hotel Marstrand. Go out with a local fishing boat and taste some oysters, crabs and crayfish. A three-course dinner will be waiting for you in the evening in the Grand Tenan restaurant. 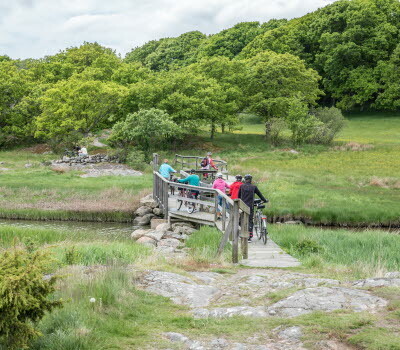 If you prefer your adventures to be on land, there are many great walking paths in the area. Marstrand’s rustic pub, inspired by the archipelago, goes by the name of Bakfickan. 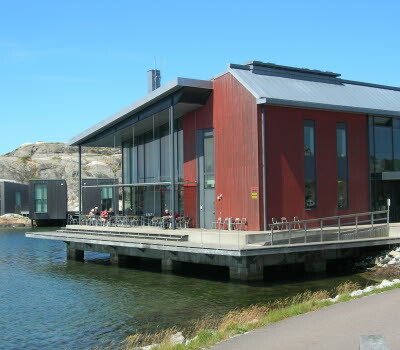 It is a very popular place for visiting boat enthusiasts as well as Marstrand locals. The bar counter is made from a 100-year-old rudder and is worth a visit in itself.